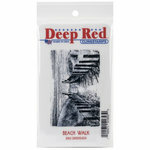 This un-mounted deeply etched red rubber stamp from Deep Red Stamps is pre-cut and mounted on repositionable cling foam. 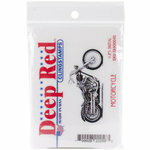 It can be used with any acrylic block (sold separately). 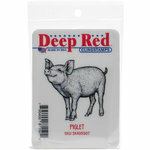 Each package includes one rubber stamp that measures approximately 2.5" x 3.5". Made in the USA. I'm going to make encouragement cards with the train going up a little hill. Inside will say, "I think you can too!" 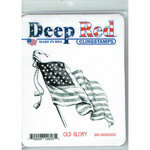 Deep red stamps work great! This stamp is wonderfully detailed, and I love the image. It comes with a plastic holder so you don't even need a stamp block. It's very detailed, just like in the picture, and very easy to use and to make beautiful creations. I loved the way it looked. Used it in my Travelers Notebook Inserts. My only quibble is that the plastic bag it came in was so small I could hardly get everything out. I cut down the plastic holder on both sides quite a bit and rounded the corners, but it's still a challenge to get it in and out of the plastic bag. With all of the sizes bags come in these days, one would think that could be remedied. Anyway, it's a beautiful stamp, and if you don't store your stamps in plastic bags, you're all set. I store mine standing up in their bags, so I had to do a work-around. 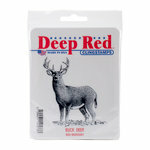 The beautifully designed Deep Red stamps are known for their detail and this is no exception. 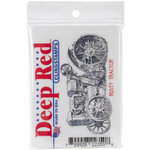 I have added this stamp to my collection of "men's stamps" when I make cards. 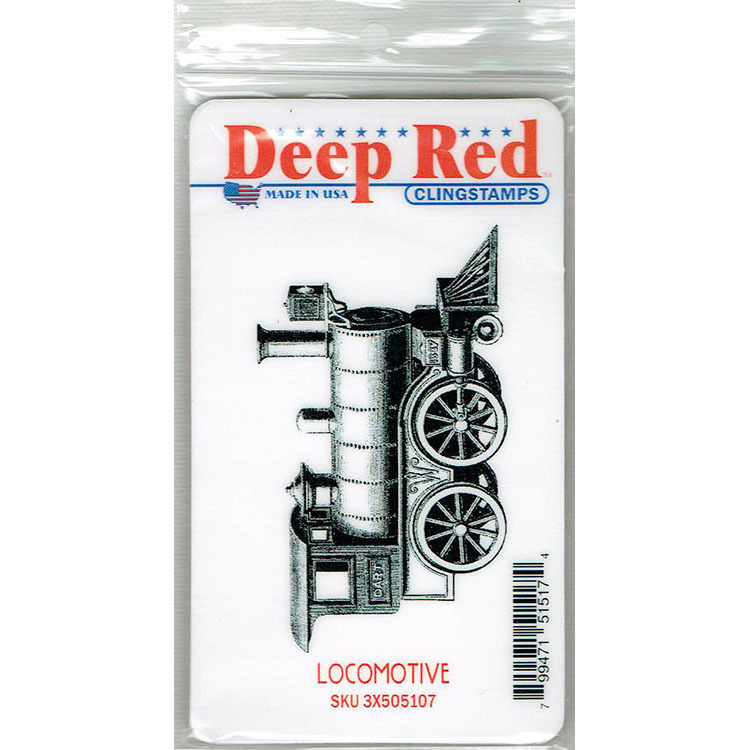 Each Deep Red stamp is finely etched for great impressions. I was surprised at the detail in this brand of stamps. I have not found this level of intricacy in other types I have used. Great product very good price, and as always awesome service. This stamp held ink well and created an excellent image, even when used by kids. Worked well for my Harry Potter class for kids.